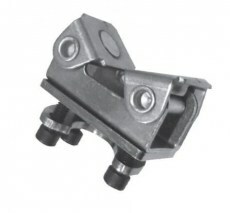 Accessory jaw pads for FX clamps which suit clamping round bar or pipe stock. Pads swivel and adjust to angled surfaces being clamped. See the FX clamps HERE.